Welcome to DeanShibuya.com! Pardon the dust, we're under construction! 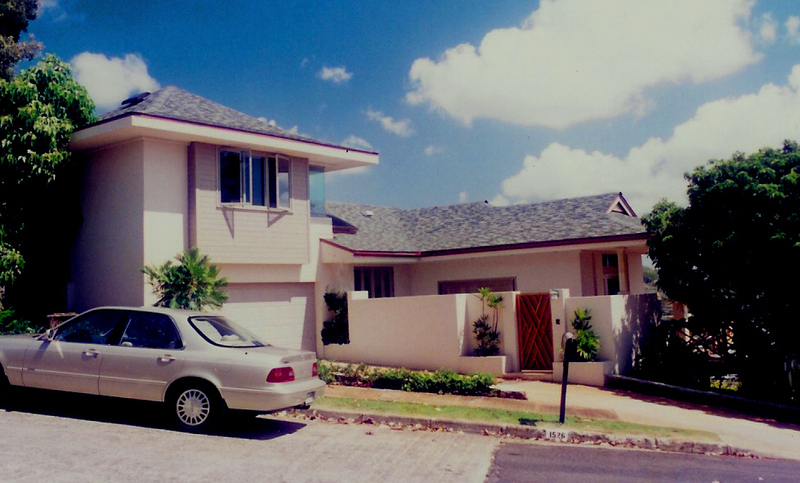 The client moved back to Honolulu from Los Angeles into the old family home. 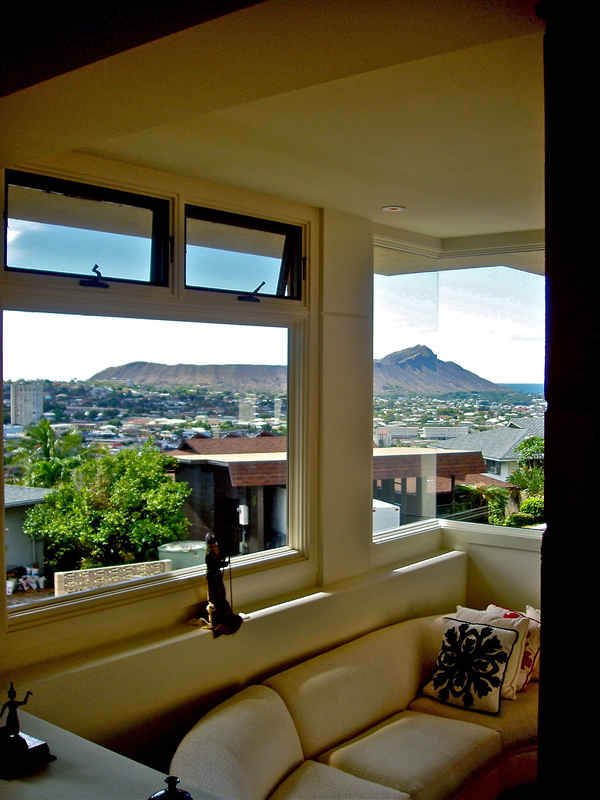 It suffered from years of neglect and it was decided to build a new home that, contrary to the original home, takes advantage of the spectacular views of Diamond Head, Waikiki and the Pacific Ocean. The primary request was to provide a swimjet pool for exercise as well as an open, airy structure that allowed the prevalent tradewinds to naturally cool the house. The front gate serves as the entry to the house and opens onto a concrete bridge built over the swimjet pool to the view deck. Entry into the house is through a pair of glass pocket doors into the Living Room. Terraced up a few steps is the rest of the main level which consists of the Dining Room, Kitchen with a Breakfast nook, an adjacent Laundry Room, a Bedroom and Bathroom as well as a Master Bedroom Suite. 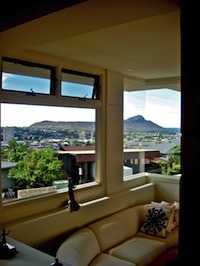 Upstairs over the two car garage is a self contained second Master Bedroom Suite with sweeping views of the city and Diamond Head. Teak wood provides a luxurious and durable flooring material. Showers are paved with slate and an antique architectural column from Bali provide a playful artistic note to the Master Bathroom and cast limestone with carved native designs add a tropical, indoor/outdoor design element to the Dining Area.